Survivin is an apoptotic inhibitor, plays an important role in cell cycle regulation, and may be involved in the development and progression of cancer. A common polymorphism at the survivin gene promoter (-31 G/C) has been shown to influence survivin expression and the risk for cancer. 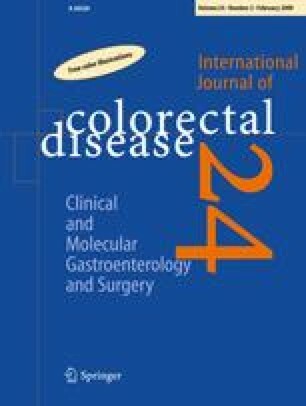 The aim of the present study was to investigate whether this polymorphism could be involved in the sporadic colorectal cancer (CRC) development, prognosis, and survival. The -31G/C polymorphism of survivin promoter was analyzed by polymerase chain reaction (PCR) restriction fragment length polymorphism method in biopsies from 312 patients with sporadic CRC and 362 healthy individuals. Survivin messenger RNA (mRNA) expression in CRC tissues was detected by quantitative reverse transcriptase PCR. The genotype frequencies for -31GG, -31GC, and -31CC were 21.79%, 41.99%, and 36.22% in CRC patients and 33.98%, 45.03%, and 20.99% in healthy subjects, respectively. The frequencies of the survivin -31C allele and CC genotype were significantly higher in CRC patients than in healthy subjects (p < 0.0001). Homozygotes for the -31CC survivin genotype, expressed 1.6-fold higher mRNA levels of survivin compared to cases with the -31GG and -31GC genotypes. The -31CC genotype of survivin promoter is associated with CRC and may be a risk factor for CRC.